Solid material used as ballast in sailing ships has been re-used in many various ways, the re-use as ballast being the most obvious. Another re-use is as building material. A prominent example of where ballast stones have been utilized in this way is Savannah, Georgia, in the southeast of the United States. Savannah was established as a British settlement in 1733 and became the first city in the colony of Georgia. A combination of British agricultural technologies and African slave labour made Savannah one of the most important ports for the shipping of cotton, rice and sugar to the northeast of the United States and to Europe during the 18th and 19th century. Most of the ships went in ballast to Savannah and at arrival they dumped their ballast stones along the Savannah River shoreline. This means that ballast stones were arriving in substantial numbers to Savannah in the early 1800’s. The total amount of ballast stones found in the waterfront area today has been estimated to exceed 800.000 tons. For the city the stones became an inexpensive, durable, and fireproof building material. 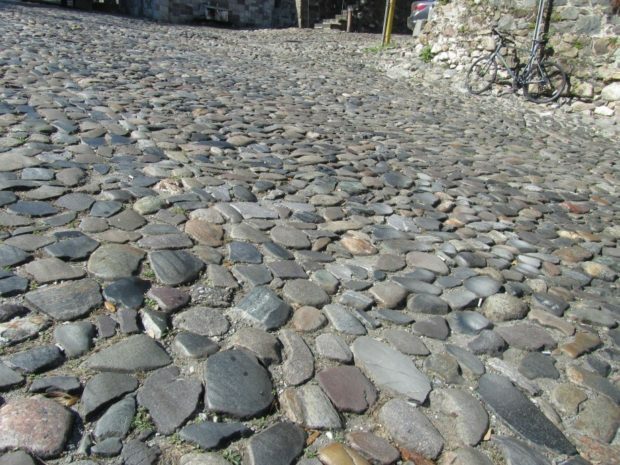 The ballast stones also provided an excellent material for paving Savannah’s streets. Later, in the 1930s, the ballast streets were considered to be too rough surfaces for carriages and automobiles, and they were therefore frequently re-paved with brick, macadam or concrete. 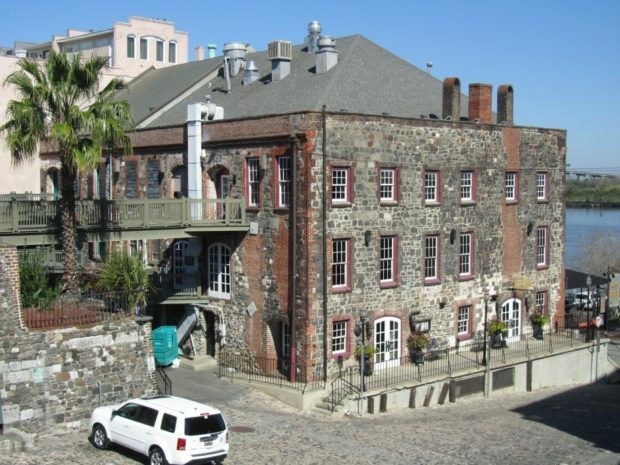 Today, however, the cobblestones from the many different parts of the world that pave Savannah’s waterfront streets are presented as a must-see attraction for visitors. Walking these streets you are literally stepping on material memories of the Savannah’s past. 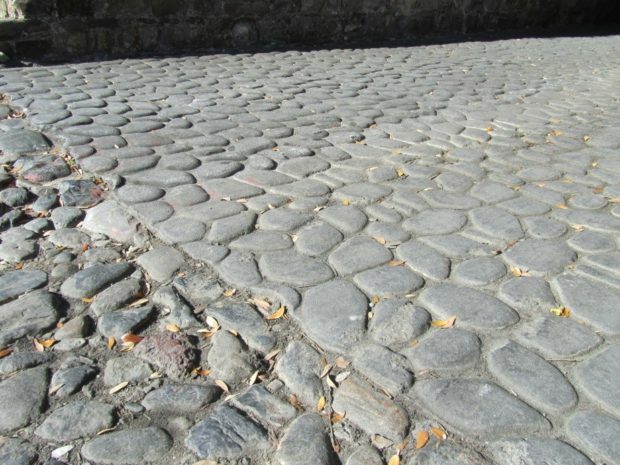 The cobblestones have actually become such an important part of the identity of the waterfront area that new pavement is made of a material that imitates ballast stones. Ballast stones paving the streets in the waterfront area in Savannah. Photo: Mats Burström. Late 18th century warehouse for sugar and cotton built of ballast stones. Photo: Mats Burström. Pavement of ballast stones (left) and new material (right) imitating ballast stones. Photo: Mats Burström.